The Mad Dogg Athletics® house of brands touches millions of consumers every day in over 80 countries around the world. 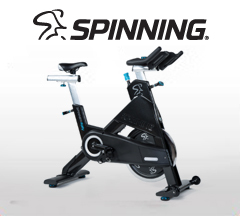 Our portfolio of fitness companies extends to several industry leading brands including Spinning®, Peak Pilates®, CrossCore®, Ugi®, Resist-A-Ball®, Spin Fitness® and SPINPower®. Mad Dogg Athletics® offers the most comprehensive portfolio of fitness equipment, programming, and education to deliver the world's best fitness experiences. Since 1991, we have been committed to creating the best equipment and most comprehensive training to deliver unrivaled fitness experiences. Our passion for building superior products, and our commitment to finding new ways to engage and invigorate our global community of fitness consumers makes Mad Dogg Athletics® stand out as the unparalleled industry leader.